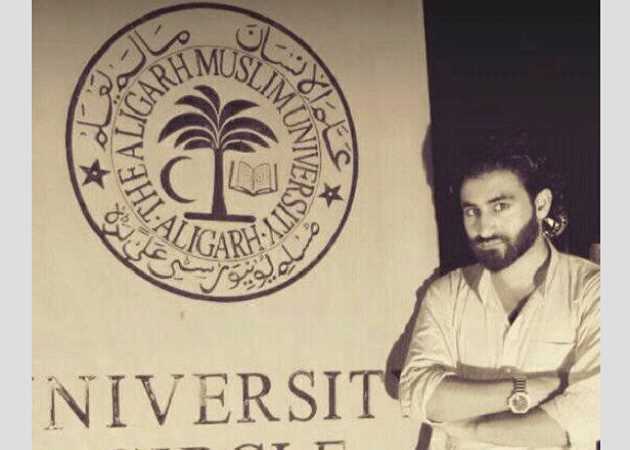 Manan Wani, a PhD scholar of Aligarh Muslim University was killed along with his associate in a gunfight with security forces at Shatgund village of Handwara in north Kashmir’s Kupwara District on Thursday. 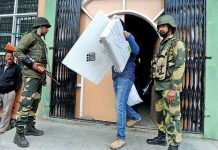 According to police sources, the Army, CRPF and SOG men had launched a joint cordon and search operation around 2:30 am at Shatgund village after receiving inputs about the presence of militants in the area. During the searches, the militants fired on the forces which triggered an encounter in which two Hizbul Mujahideen militants were killed. After the gunfight had started, clashes broke out between the youth and the forces near the encounter site. The clashes spread to the areas of Handwara, Kupwara, Pulwama and Shopian and also broke out in parts of downtown Srinagar. The deceased militants were identified as Manan Bashir Wani, son of Bashir Ahmed Wani and Ashiq Hussain Zargar, son of Ghulam Mohi-ud-din Zargar. The bodies of militants were handed over to their family for last rites. Manan’s body was kept at a local playground where people in large numbers paid homage to him. As soon as his body reached his native village, a large number of people gathered to raise pro-freedom and anti-India slogans. The funeral of Wani was held at 7 pm and thousands of people from various areas of Lolab participated with amidst tears. However, media persons were not allowed to cover the funeral. 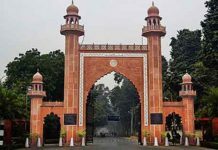 Before joining militancy, Manan was pursuing PhD in applied Geology at Aligarh Muslim University. 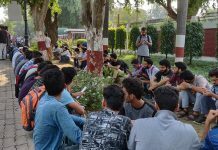 After joining Hizb, Manan wrote two letters where he explained why he and other highly educated youth of Kashmir valley took to gun. However, the whole valley mourns the death of the scholar. Politicians, separatists, students, activists, press bodies and the bar council have paid homage to the scholar. Former Chief Minister and PDP president Mehbooba Mufti said that the “PhD scholar-turned militant commander Manan Wani preferring death in an encounter over life should make political parties realise the gravity of the situation and facilitate dialogue with all stakeholders to end the bloodshed in Jammu and Kashmir”. 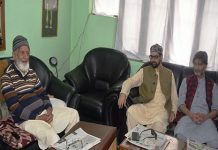 JRL comprising Syed Ali Geelani, Mirwaiz Umar Farooq and Muhammad Yasin Malik expressed grief over the killing of Wani. 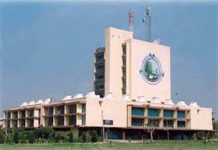 In a statement, they said that “It is an immense tragedy of Kashmir that our budding youth, professors and engineers, intellectuals and writers like Manan, the future of our nation, are paying the price of the greed and follies of those, who since 1947 misled the people through deceit and in violation of international principles of humanity and justice, pushed them under the yoke of occupation for the past 71 years now”. Meanwhile, authorities have suspended mobile internet service in Kupwara district and closed the educational institutions in the area as a precautionary measure to maintain law and order. Besides that, educational institutions around Bandipora, Pattan and Baramulla were also closed.